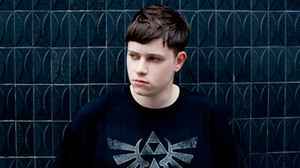 Turned a lot of heads with his 2012 Essential Mix, which many critics had ranked at the top of their lists. As a DJ, his style is somewhere between IDM, hip-hop, bass, and trap. It's in-your-face, upbeat style of music, perhaps a more mainstream version of Flying Lotus. His credibility with the underground is questionable; I see him ending up like Skrillex/Guetta and the rest of the "EDM" crew.